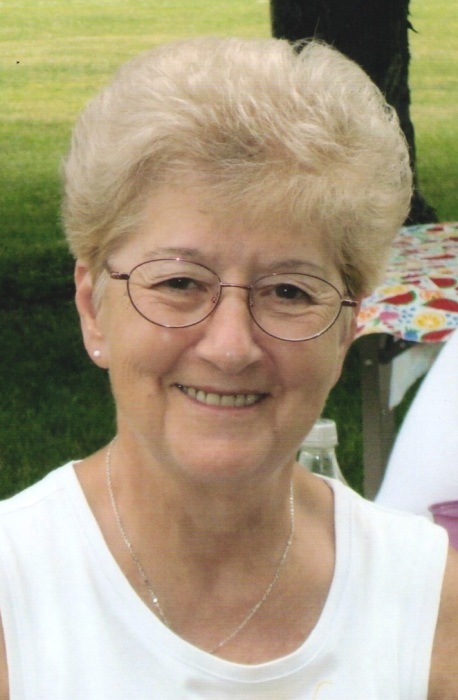 Shirley Jean Smith, 78, of Gettysburg, PA, went into the loving arms of Jesus on Friday, January 25, 2019. She passed away at Paramount Senior Living in Fayetteville, PA, with her husband Richard and her family at her side. Born January 16, 1941 in Taneytown, MD, she was the daughter of the late D. Reno and Marian (Stonesifer) Eyler. She was the devoted wife of D. Richard Smith, to whom she was married for 60 years. Surviving, in addition to her husband Richard, are daughter, Tina Fair and husband Lynn of East Berlin, PA; son, Randy Smith and fiancée Melissa Riley of Gettysburg; 6 grandchildren, Christopher Daniels and wife Julie of Biglerville, PA, Matthew Daniels and Christina Deihl of Biglerville, Jason Smith and wife Rachel of McSherrystown, Corey Smith and fiancé Brad Richardson of Fairfield, PA, Alysia Fair of Lancaster, PA and Nicolas Smith of Blue Ridge Summit, PA; brother, Eugene Eyler and wife Fran of Thurmont; sisters, Margaret Ott, Delores Wivell and husband James, and Dorothy Damuth and husband Arthur, all of Emmitsburg; and 12 great-grandchildren, Ashley and Allison Daniels, Christopher Daniels, Jr., Lydia Rill, Nadia Welty, Zaden Young, Kelsey Smith, Noah Smith, Samantha Gross, Jacob Stanbury, and Erin and Evan Smith. She was predeceased by granddaughters, Angela Sue Daniels and Ariel Smith; brother, Reno Eyler; sister, Nancy Eyler; and brother-in-law, Sonny Ott. A funeral service will be held at 11:30 a.m. on Tuesday, January 29, 2019 at Elias Evangelical Lutheran Church, 100 W. North Ave., Emmitsburg, MD with the Rev. Jon R. Greenstone officiating. Burial will follow in Elias Lutheran Cemetery. The family will receive friends from 10:30 a.m. until the time of the service at the church on Tuesday. Arrangements have been entrusted to MYERS-DURBORAW FUNERAL HOME in Emmitsburg, MD.